Is the Fed Really “Stealing from Savers”? In a recent article on MarketWatch, Chris Martenson asserts that the Fed’s low interest rate policy and quantitative easing in recent years is deliberately stealing from savers. This article has elicited a big response, with almost 800 comments and almost 2000 likes on Facebook. 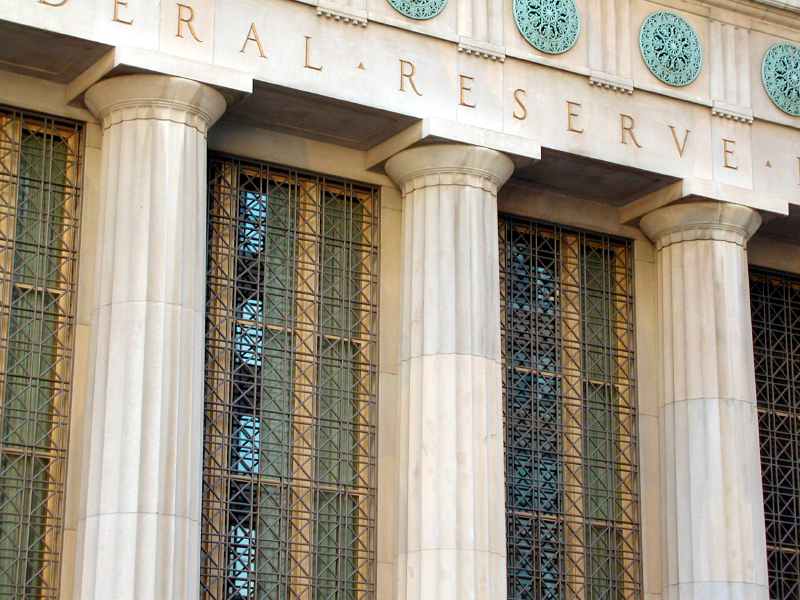 The key point of the article is that the Fed’s policy of holding down interest rates to stimulate the economy has reduced the income provided by Treasury bonds, savings accounts, and certificates of deposit (CDs) to extremely low levels. In this way, the Fed’s policy can certainly be viewed as harmful to people trying to live on the income from bonds and other very low risk investments. This Fed-bashing rhetoric is far from the whole story, though. The total impact of very low interest rates on savers and conservative investors is somewhat more complex than the MarketWatch piece suggests. Subdued inflation in recent years, one of the reasons that the Fed cites for keeping interest rates low, also means savers are seeing lower rates of price increase in the goods and services they buy. With very low current inflation, you simply don’t need as much yield as when inflation is higher. It would be wonderful for conservative investors to have low inflation and high yields from risk-free accounts, but that situation is effectively impossible for extended periods of time. All in all, low inflation is typically a good thing for people living in a fixed income. Another effect of continued low interest rates is that bond investors have fared very well. The trailing 15-year annualized return of the Vanguard Intermediate bond Index (VBMFX) is 5.4%, as compared to 4.5% for the Vanguard S&P 500 Index (VFINX). Falling rates over this period have driven bond prices upwards, which has greatly benefitted investors holding bonds over this period. One interesting related charge leveled by the MarketWatch piece (and also in a recent New York Times article) is that the Fed policy has exacerbated income inequality and that the wealthy are benefitting from low rates while less-wealthy retirees living on fixed incomes are being hurt. Low interest rates have helped the stock market to deliver high returns in recent years and it is wealthier people who benefit most from market gains. In addition, wealthier people are more likely to be able to qualify to refinance their mortgages to take advantage of low rates. The implication here is that less wealthy people cannot afford to take advantage of the benefits of low rates and that these people, implicitly, are probably holding assets in low-yield risk-free assets such as savings accounts or CDs. This is, however, somewhat misleading. Poorer retired households receive a disproportionate share of their income from Social Security, which provides constant inflation-adjusted income. While investors in Treasury bonds, savings accounts, and CDs are seeking riskless return, money held in these assets does not help to drive economic growth, and this is precisely why the Fed policy is to make productive assets (in the form of investments in corporate bonds and equity) more attractive than savings accounts and certificates of deposit. So, the Fed is attempting to drive money into productive investments in economic growth that will create jobs and should, ultimately, benefit the economy as a whole. One must remember that the Fed has no mandate to provide investors with a risk-free after-inflation return. It is certainly understandable that people trying to maintain bond ladders that produce their retirement income are frustrated and concerned by continued low interest rates and the subsequent low yields available from bonds. Given that inflation is also very low, however, low bond yields are partly offset by more stable prices for goods and services. It is true that the Fed’s policies are intended to get people to do something productive with their wealth like investing in stocks, bonds, or other opportunities. It is also the case that older and more conservative investors world prefer to reap reasonable income from essentially risk-free investments. Substantial yield with low risk is something of a pipe dream, though. Investors are always trying to determine whether the yield provided by income-generating assets is worth the risk. We may look back and conclude that the Fed’s economic stimulus was too expensive, ineffective, or both, but this will only be clear far down the road. 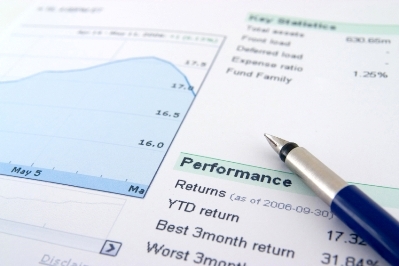 Are My Investment Decisions Tax Efficient? How Much Am I Paying in Investment Expenses? The brokerage with a better way. Securities products and services offered through FOLIOfn Investments, Inc. Member FINRA and SIPC. This entry was posted in Asset Allocation, Bonds, College Savings, Economy, financial planning, Income Investing, Inflation, Investors, Long-term investing, Low Cost Investing, Market Outlook, Passive Investing, Personalization, Retirement, retirement income, retirement planning and tagged bond investors, bonds, CDs, conservative investors, economic growth, economy, Federal Reserve, income, Inflation, interest rates, low interest rates, low risk investments, marketwatch, savings accounts, Social Security, Treasury bonds, Vanguard on November 4, 2014 by Geoff Considine. This is the sixth installment in our series on how individual investors can assess their financial health. Diversification is a perennial topic among investors, and if it seems controversial at times, that may be due to the fact that people don’t always share the same understanding of what it means. But diversification isn’t about investing in a certain number of securities or funds. And it’s not about investing in every possible security under the sun. Simply put, diversification is the process of combining investments that don’t move in lockstep with each other. For example, Treasury bonds tend to do well when stocks are falling, and vice versa. Combining stocks and bonds thus helps to limit risk. Bonds also reduce the risk of a portfolio because they tend to be less risky on a standalone basis than stocks. This brings us to an important point: the aggregate risk/return properties of a portfolio depend not only on the risk and return of the assets themselves, but also on the relationships between them. Determining the right balance among these three factors (asset risk, asset return, and diversification benefit) is the challenge of diversification. The starting point in the determining whether your portfolio is properly diversified is to come up with a risk level that matches your needs. I discussed risk estimation in last week’s blog. Assuming you have a target risk level for your portfolio, you can then attempt to determine how to combine assets so as to achieve the maximum expected return for this risk. The word “expected” is crucial here. It is easy to look back and to see, for example, that simply holding 100% of your assets in U.S. stocks would have been a winning strategy over the past five years or so. The trailing five year return of the S&P 500 is 15.7% per year and there has not been a 10% drop in over 1,000 days. Over this period, holding assets in almost any other asset class has only reduced portfolio return and risk reduction does not look like a critical issue when volatility is this low. The problem, of course, is that you invest on the basis of expected future returns and you have to account for the fact that there is enormous uncertainty as to what U.S. stocks will do going forward. Diversification is important because we have limited insight into the future. 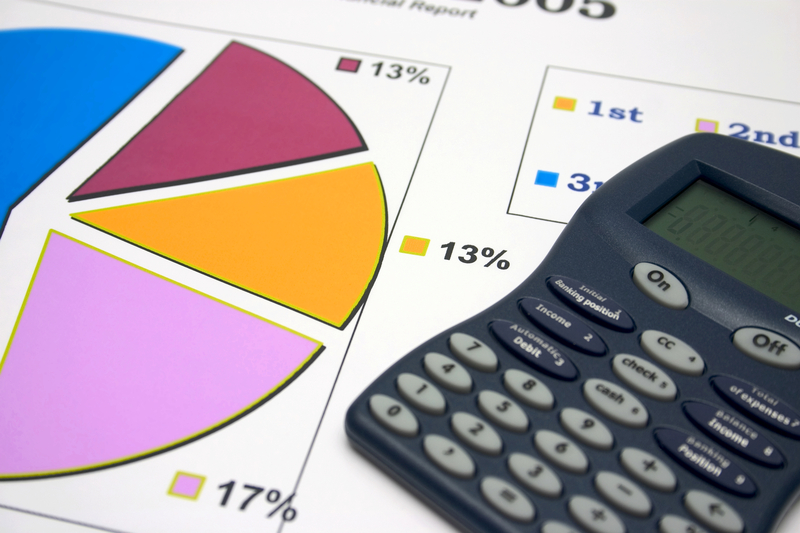 Many investors think that they are diversified because they own a number of different funds. Owning multiple funds that tend to move together may result in no diversification benefit at all, however. A recent analysis of more than 1,000,000 individual investors found that their portfolios were substantially under-diversified. The level of under-diversification, the authors estimated, could result in a reduction of lifetime wealth accumulation of almost one fifth (19%). Aside from a broad U.S. stock index (S&P 500, e.g., IVV or VFINX) and a broad bond index (e.g., AGG or VBMFX), what other asset classes are worth considering? Because the S&P 500 is oriented to very large companies, consider adding an allocation to small cap stocks, such as with a Russell 2000 index (e.g. IWM or NAESX). There is also considerable research that suggests that value stocks—those stocks with relatively low price-to-earnings or price-to-book values—have historically added to performance as well. A large cap value fund (e.g. VTV, IWD, VIVAX) or small cap value fund (e.g. VBR, RZV) may be a useful addition to a portfolio. In addition to domestic stocks, consider some allocation to international stocks (e.g. EFA or VGTSX) and emerging markets (e.g. EEM or VEIEX). Real Estate Investment Trusts (REITs) invest in commercial and residential real estate, giving investors share in the rents on these properties. There are a number of REIT index funds (e.g. ICF, RWR, and VGSIX). Utility stock index funds (e.g. XLU) can be a useful diversifier because they have properties of stocks (shareholders own a piece of the company) and bonds (utilities tend to pay a stable amount of income), but have fairly low correlation to both. Preferred shares (as represented by a fund such as PFF) also have some properties of stocks and some of bonds. Another potential diversifier is gold (GLD). To help illustrate the potential value of diversification, I used a portfolio simulation tool (Quantext Portfolio Planner, which I designed) to estimate how much additional return one might expect from adding a number of the asset classes listed above to a portfolio that originally consists of just an S&P 500 fund and a bond fund. The estimated return of a portfolio that is 70% allocated to the S&P 500 and 30% allocated to an aggregate bond index fund is 6.4% per year with volatility of 13%. (Volatility is a standard measure of risk.) Compare that to the more diversified portfolio I designed, which has the same expected volatility, but an expected return of 7.3% per year, as estimated by the portfolio simulation tool. The diversified portfolio is not designed or intended to be an optimal portfolio, but rather simply to show how a moderate allocation to a number of other asset classes can increase expected return without increasing portfolio risk. The process of analyzing diversified portfolios can get quite involved and there are many ideas about how best to do so. But the range of analysis suggests that a well-diversified portfolio could add 1%-2% per year to portfolio return. I have observed that the longer a bull market in U.S. stocks goes on, the more financial writers will opine that diversifying across asset classes is pointless. We are in just that situation now, as witnessed by a recent article on SeekingAlpha titled Retirees, All You Need is the S&P 500 and Cash. On the other hand, there is a large body of research that demonstrates that, over longer periods, diversification is valuable in managing risk and enhancing returns. That said, a simple allocation to stocks and bonds has the virtue of simplicity and can be attained with very low cost. Diversifying beyond these two assets can meaningfully increase return or reduce risk, but an increase in average return of 1%-2% per year is not going to take the sting out of a 20%+ market decline. What’s more, a diversified portfolio is quite likely to substantially under-perform the best-performing asset class in any given time period. But over long periods of time, the gain of 1%-2% from diversification is likely to increase your wealth accumulation over 30 years by 20%-30%. This is consistent with the analysis of 1,000,000 individual investors cited above, from which the authors concluded that under-diversified portfolios were likely to reduce lifetime wealth accumulation by 19%. For investors seeking to diversify beyond a low cost stock-bond mix, there are a number of simple portfolios that include a range of the asset classes discussed here and that have fairly long track records. These are worth exploring as a template for further diversifying your own portfolio. For details on how the model estimates risk and return for different asset classes and for portfolios, see the whitepaper I wrote on the subject. Is My Portfolio at the Right Risk Level? Am I Better Off Investing or Paying Down Debt? Am I Saving Enough in an Emergency Fund? The brokerage with a better way. Securities products and services offered through FOLIOfn Investments, Inc. Member FINRA/SIPC. This entry was posted in Asset Allocation, Bonds, Diversification, Economy, ETFs, financial planning, Investors, Long-term investing, Market Outlook, Mutual Funds, Personalization, Real Estate, retirement planning, Risk, Stock Investing, Uncategorized, Volatility and tagged allocation, bond index, bonds, bull market, diversification, domestic stocks, emerging market, financial health, gold, Institutional Investor, International Stocks, iShares Russell 2000, large cap stocks, large cap value fund, preferred shares, real estate investment trusts, REIT index funds, REITs, Risk, S&P500, small cap stocks, small cap value fund, stocks, utility stock index fund, Utility stocks, value stocks on October 6, 2014 by Geoff Considine. This is the fourth installment in our series on how individual investors can assess their financial health. Should I pay off all credit card debt or make smaller payments while saving more for retirement? Should I pay extra on my mortgage or invest in securities? Should I pay down my student loans faster or invest more? Financial health requires both savings and control over debt. But when these two goals seem to be in conflict, what’s the best way to balance them? Consider these six ways to prioritize. Make sure you get your employer match. If you’re lucky enough to have an employer that matches your contributions to the workplace 401(k) plan, your first priority is to maximize the employer match. It’s too good to pass up. Contribute any less than what’s matched, and you’re refusing the offer of free money. 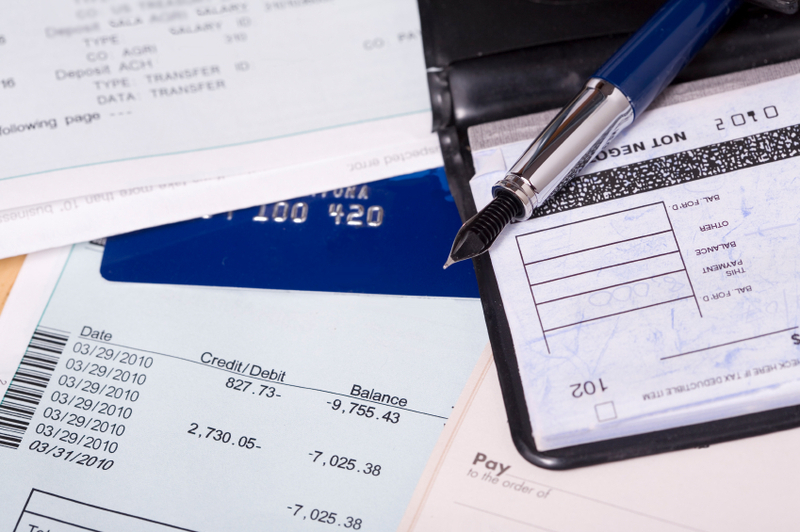 Tackle costly credit card debt. Once you are saving enough to secure your entire employer match, you can focus on paying down debts faster. The goal is to pay off all credit card debt as quickly as possible. The interest rates on credit card debt are typically so high that nothing else you do with your money is likely to be as profitable. Beef up your emergency fund. When you’re beyond the hurdle of credit card debt, consider building out your emergency fund. If you don’t have sufficient emergency savings to cover a serious car repair, a trip to the emergency room or other not-so-infrequent disasters, this is the next focus. Save enough in retirement accounts. Assuming you have no credit card debt and decent emergency savings, you can move on to the next set of priorities. If you are saving less than 10% of your pretax income in retirement accounts, ramping up your contributions is probably a better bet than paying extra on your student or auto loans or mortgage. Contributions to retirement accounts are tax advantaged, and it is almost impossible to catch up if you delay retirement savings. Decide whether to save more or pay down your mortgage. Only when you have no credit card debt, a healthy emergency fund, and you’re saving at least 10% of your pretax income should you consider making additional investments or speeding up your mortgage payments. But when you compare the cost of having a mortgage to the possible returns from investing elsewhere, don’t forget the tax deduction on mortgage interest. Because of that deduction, your effective (after-tax) interest rate on your mortgage is lower than your actual mortgage rate. There are handy online calculators that can quickly calculate the effective interest rate on your mortgage, accounting for tax benefits. If you are confident that you can invest at a rate of return that’s at least as high as your effective mortgage rate, you may want to hang on to the mortgage and invest more. Over the past few years, many consumers have taken out mortgages with effective interest rates of 3% or less. At this level of interest, there are investment alternatives that make more sense. Also remember that extra principle payments come with liquidity risk. That is, if you need a source of cash, it may be easier to sell a security investment. To take cash out on your mortgage, you will have to refinance or open a line of credit. Either of these may come with a higher cost than your current mortgage, not to mention origination fees. Decide whether to save more or pay down college debts. If your income is below $75,000 per year ($155,000 for a couple filing jointly), some or all of the interest that you pay on college loans may be tax deductible. So the effective rate of interest on your college loans may be lower than the actual rate. Take that into account when you compare your loan interest with potential investment earnings. An additional consideration may be whether a parent or grandparent cosigned your student loans. If you become disabled or die—or you’re simply unemployed for a long period of time, your consignors may have to pay your college loans. That risk may make it worthwhile to pay off college loans faster. If you could be sure that you’ll never lose your job and that you’ll always be able to open a low-cost line of credit, the decision to pay off debts would be much easier. But you have to look beyond comparing interest rates on debt to the expected returns from investments. You have to consider that credit may not always be available at today’s rates. With mortgage rates as low as they are now, paying down a mortgage does not look like the most attractive choice. Once you’ve paid off all high-cost revolving credit (e.g. credit cards), have a solid emergency fund, and you’re saving 10% of your income in retirement accounts, however, it’s worth considering paying down college debts. Putting non-retirement money into risky investments like stocks before you have accomplished the milestones listed above makes your overall financial situation more risky. Whether or not this is too much risk depends on you. This entry was posted in Behavioral Finance, College Savings, debt, Diversification, Economy, financial planning, Home Ownership, Inflation, Investors, Long-term investing, Market Outlook, mortgages, Personalization, retirement planning, Risk and tagged 401 (k), credit card debt, debt, emergency fund, financial health, investing, investors, mortgage, personal finance, refinance, retirement, retirement accounts, retirement savings, student loans, tax deduction, Taxes on September 23, 2014 by Geoff Considine. This is the third installment in our series on how individual investors can assess their financial health. Surveys of consumer finances often conclude that American households have far too little—if any—emergency savings. In a 2011 study by the National Bureau of Economic Research (NBER), 25% of Americans surveyed indicated that they had no way to come up with $2,000 within 30 days to cover an emergency—and an additional 19% concluded that they could only do so by selling or pawning their possessions or resorting to payday lenders. The NBER study refers to such households as financially fragile. In a 2013 survey, the Federal Reserve Board found that only 48% of people were confident that they could easily access $400 in an emergency. A commonly-cited goal for emergency savings is to have six months of living expenses available on short notice. But the 2013 Fed survey found that 64% of people aged 45-59 and 42% of people aged 60+ had less than three months of living expenses available in the event of a job loss or some other financial setback. If you have six months of expenses covered in the form of highly liquid assets, you are probably in good shape. The reality, however, is that most households have nowhere close to this level of liquid assets. Generalizations aside, the amount of money a household actually needs in the event of an emergency will vary considerably, depending on multiple factors, such as insurance coverage, credit, and job security. Some households may also have the flexibility to cut back on non-essential expenditures, which can provide some source of relief during an emergency. The types of insurance that you carry and your deductibles for different situations are a major consideration. If you have substantial life, disability, and health coverage, you may consider yourself safe. But your out-of-pocket costs for treatment of an illness or an emergency room visit should be a starting point for how much you need to set aside for health care contingencies. The availability of low-cost credit determines whether you can quickly borrow at a reasonable interest rate. If you maintain an untapped line of credit on your home, for example, you don’t need as much cash on hand. The amount you need in an emergency fund also depends on the type of work that you do. In some jobs, breaking a finger can result in substantial time off work. In others, people can work with a leg in a cast. Some jobs have far more income security than others. Federal and state employees are very rarely laid off, while independent contractors can experience huge swings in income in the course of any given year. Because losing a job is one of the more likely income disruptors for most households, it is also worth accounting for how hard it would be to find a new job. The period of time between jobs depends on a number of factors, including where you live. And as people get older, the amount of time required to find a new job increases. All of these factors also determine whether emergency savings need to be maintained in a checking or savings account or whether they might be invested in some way. There is no universally applicable rule as to how much money a household should maintain in a savings account, the most easily-accessible and lowest-risk option. Assets invested in retirement accounts should not be considered as emergency assets. Withdrawing funds from these accounts can result in a range of penalties and additional taxes. Assets invested in a traditional brokerage account can be part of emergency savings, but keeping emergency savings in risky asset classes means that the value will fluctuate and you may end up selling at an inopportune time. The key issue in deciding where to maintain emergency assets is liquidity: how rapidly you can get the funds. The sobering reality is that more than half of American families could be thrown into financial turmoil in the face of an emergency room visit, a broken furnace, or a couple of weeks of unemployment. While many families may simply be unable build up an emergency fund, there are also probably quite a few that realistically can—and should—make different choices to build the financial cushion they need. This entry was posted in Behavioral Finance, debt, Economy, financial planning, Inflation, Investors, retirement planning, Taxes, Wealth and tagged consumer financials, credit, emergency, emergency fund, emergency savings, Federal Reserve, financial health, Individual Investors, insurance, National Bureau of Economic Research, online brokerage, retirement account, Savings, savings account, Taxes on September 16, 2014 by Geoff Considine. This is the second installment in our series on how individual investors can assess their financial health. The starting point for any discussion of a household’s financial health is to evaluate current savings and savings rates in the context of financial goals. The three largest expenses that most families will face are buying a home, paying for college, and providing income in retirement. Setting specific savings targets and timelines is a key step in increasing your ability to meet these goals. 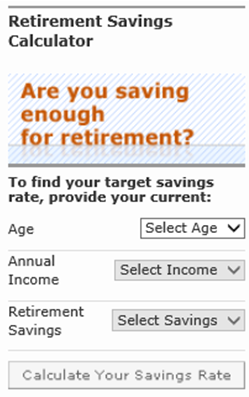 A good first step for estimating how much you’ll need for retirement—and how you’re doing so far—is to try Morningstar’s Retirement Savings Calculator. This tool uses a range of sensible assumptions (which you can read about in the study from which it was developed) to estimate whether you are saving enough to retire. The study accounts for the fact that Social Security represents a different fraction of retirement income for households at different income levels and assumes that investments are consistent with those of target date mutual funds. The calculator scales income from your current age forward, based on historical average rates of wage growth. The calculations assume that you will need 80% of your pre-retirement income after subtracting retirement contributions, and that you will retire at age 65. The estimated future returns for the asset allocations are provided by Ibbotson, a well-regarded research firm (and wholly owned subsidiary of Morningstar). The final output of this model is a projected savings rate that is required for you to meet the target amounts of income. If this is less than you currently save, you are ahead of the game. There are enormous variations in what a college education costs, depending on whether your child goes to a public or private institution and whether those who choose public schools stay in-state. There is also a trend towards spending two years at a community college before transferring to a larger comprehensive university. estimates that the average annual all-in cost of attending a public four-year university is $23,000 per year, while the cost of attending a private four-year university averages $45,000 per year. This includes tuition, room, board, books and other incidentals. It is worth noting, however, that the all-in cost of private universities are often far above $45,000 per year. The University of Chicago has an all-in cost of $64,000 per year. Yale comes in at $58,500. Every college and university has information on current costs to attend, as well as a calculator that estimates how much financial aid you can expect to be given, based on your income and assets. There are a variety of ways to reduce the out-of-pocket cost of college including work-study, cooperative education programs, and ROTC. There are also scholarships, of course. College tuition and fees have been rising at about 4% per year beyond inflation for the past three decades. With inflation currently at about 2%, the expected annual increase in college costs is 6%. To be conservative, assume that money invested today in a moderate mix of stocks and bonds will just keep up with inflation in college costs. Vanguard’s Moderate Growth 529 plan investment option has returned an average of 6.9% per year since inception in 2002 and 6.4% per year over the past ten years. In other words, $23,000 invested today will probably pay for a year at a public four-year university in the future. You can invest more aggressively to achieve higher returns, but taking more risk also introduces an increased exposure to market declines. Using the simple assumption that money invested today in a moderately risky 529 plan or other account is likely to just keep pace with cost inflation makes it easy to figure out how you are doing in terms of saving. If you plan to pay the cost of your child’s four-year in-state education and you have $46,000 invested towards this goal, you are halfway there. A house is a major financial commitment—one of the most significant that most people make. Unlike retirement or education, there is an alternative that provides the same key benefits: renting. For people who decide to buy, a key issue is how much to save for a down payment. The amount that a lender will require depends on your income, credit score, and other debts. Zillow.com provides a nice overview, along with an interactive calculator of down payment requirements. This tool can help estimate how all of the factors associated with obtaining a mortgage can vary with the down payment. In general, the goal is to have a down payment ranging from 5% to 20% of what you plan to spend on a home. By experimenting with the calculator at Zillow, you can determine how much house you can afford and how much you will need to put down. A down payment of 20% or more is the most cost-effective route because smaller down payments require that you buy mortgage insurance, which adds to the monthly payment. There are several alternatives for investing a down payment fund. The primary consideration, however, is whether you are willing to adjust your timeframe based on how the market performs. If you are committed to buying a house within one to three years, you really cannot afford to take on much risk. If you are looking at a timeframe of five years or more—or if you hope to buy in one to three years but you are comfortable delaying if market returns are poor—you can afford to take more risk. There is no single answer for everyone. If you are investing only in low-risk assets, however, estimating how much you need to save each month for a required down payment is straightforward enough, because the current expected rate of return on safe assets is close to zero. This entry was posted in Behavioral Finance, College Savings, Diversification, Economy, financial planning, Home Ownership, Income Investing, Inflation, Investors, Long-term investing, Market Outlook, mortgages, Personalization, Real Estate, Retirement, retirement income, retirement planning, Risk, Volatility and tagged 529 college savings plans, Behavioral Finance, bonds, college savings, College Savings Plan, diversification, economy, home ownership, Inflation, investing strategy, long term investing, mortgage, retirement, Retirement Investing, retirement planning, stocks, student loan debt on September 9, 2014 by Geoff Considine. A question that nags at many people is whether they are on track financially. 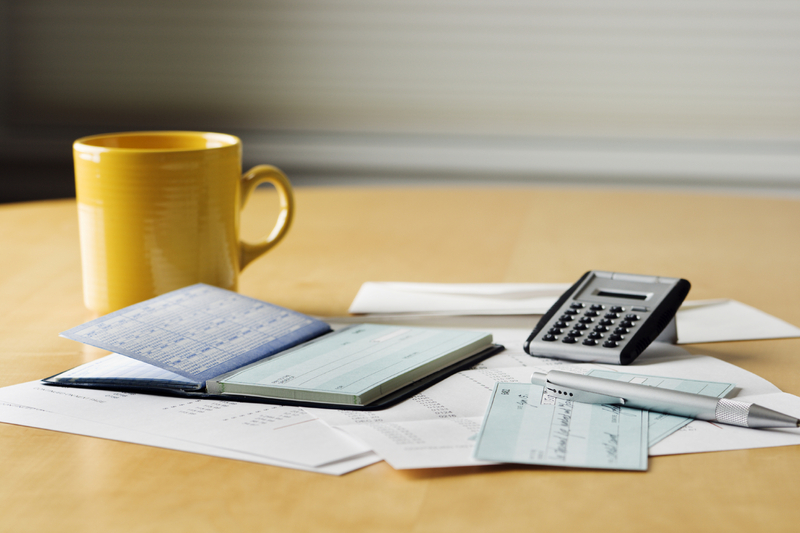 Even an average financial life can seem remarkably complex. How does anyone know whether he or she is doing the right things? A range of studies on how people manage their money suggests that many, if not the majority, are making choices that look decidedly sub-optimal. Americans don’t save enough money and when they do save and invest, they often make basic mistakes that substantially reduce their returns. More than 60% of self-directed investors have portfolios with inappropriate risk levels. Almost three quarters of Americans have little or no emergency savings. The solution to these problems starts with an assessment of where you are and where you need to be. The key, as Einstein once said, is to make things as simple as possible but no simpler. In an attempt to provide a checklist that’s in line with this edict, I offer the following questions that each person or family needs to be able to answer. Am I saving enough for to meet personal goals such as retirement, college education, and home ownership? Am I saving enough for contingencies such as a job loss or an emergency? Am I investing when I should be paying down debt instead, or vice-versa? Am I aware of how much am I paying in expenses? Are my financial decisions tax efficient? Should I hire an investment advisor? Anyone who can answer all eight of these questions satisfactorily has a strong basis for assessing whether he or she is on track. Odds are there are more than a few questions here that most of us either don’t have the answer to or know that we are not addressing very well. Part of what makes answering these questions challenging is that the experiences of previous generations are often of limited relevance, especially when it comes to life’s three biggest expenditures: retirement, college, and housing. For example, older people who have traditional pensions that guarantee a lifetime of income in retirement simply didn’t need to worry about choosing how much they had to save to support themselves during retirement. The cost of educating children has also changed, increasing much faster than inflation or, more crucially, household income. For many in the older generation, college was simply not a consideration. It has become the norm, however, and borrowing to pay for college is now the second largest form of debt in America, surpassed only by home mortgages. Children and, more often their parents, must grapple with the question of how much they can or should pay for a college education, along with the related question of whether a higher-ranked college is worth the premium cost. The third of the big three expenses that most families face is housing costs. Following the Second World War, home buyers benefitted from an historic housing boom. 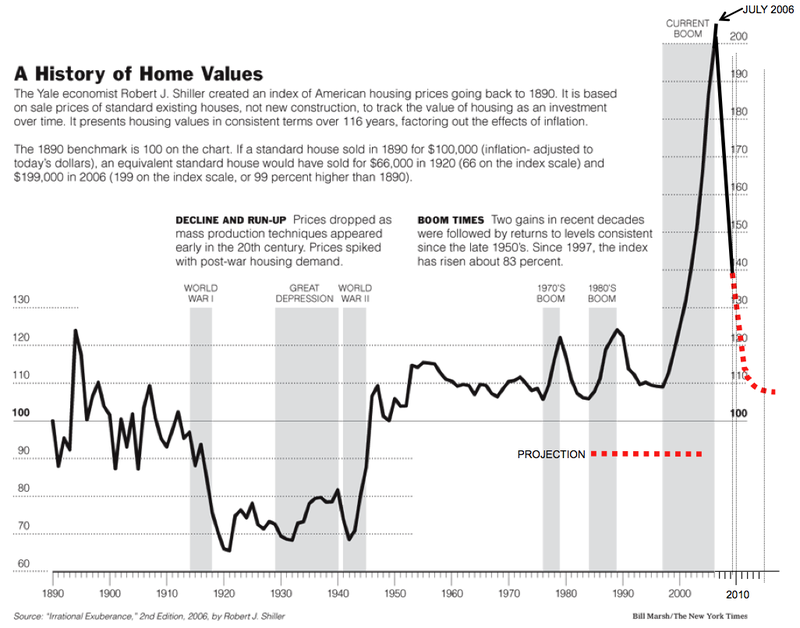 Their children, the Baby Boomers, have also seen home prices increase substantially over most of their working careers. Even with the huge decline in the housing crash, many Boomer home owners have done quite well with real estate. Younger generations (X, Y, and Millenials), by contrast, have experienced enormous volatility in housing prices and must also plan for more uncertainty in their earnings. And of course, what you decide you can afford to spend on a home has implications for every other aspect of your financial life. In addition to facing major expenses without a roadmap provided by previous generations, we also need to plan for the major known expenses of everyday life. It’s critically important to determine how much to keep in liquid emergency savings and how to choose whether to use any additional available funds to pay down debts or to invest. There are general guidelines to answering these questions and we will explore these in a number of future posts. The second set of questions is easier to answer than the first. These are all questions about how to effectively invest savings to meet future needs. Risk, diversification, expenses, and tax exposure can be benchmarked against professional standards of practice. What can become troubling, however, is that experts disagree about the best approach to addressing a number of these factors. When in doubt, simplicity and low cost are typically the best choices. Investors could do far worse than investing in a small number of low-cost index funds and choosing the percentages to stocks and bonds based on their age using something like the ‘age in bonds’ rule. There are many ways to try for better returns at a given risk level, and some make far more sense than others. Even Warren Buffett, arguably the most successful investor in the world, endorses a simple low-cost index fund strategy. Upcoming posts will provide a number of straightforward standards for addressing these questions. Investors who find these questions too burdensome or time consuming to deal with may wish to spend some time on the eighth and final question: whether they should hire an investment advisor to guide them. Investors may ultimately choose to manage their own finances, search out a human advisor, or use an online computer-driven advisory service. While financial planning can seem complex and intimidating, our series of blog posts on the key issues, as outlined in the eight questions above, will provide a framework by which individuals can effectively take control and manage their financial affairs. This entry was posted in Behavioral Finance, Bonds, College Savings, debt, Diversification, Economy, Financial Advisors, financial planning, Home Ownership, Inflation, Investors, Long-term investing, mortgages, Mutual Funds, pension plans, pensions, Personalization, Retirement, retirement planning, Risk, Volatility and tagged Behavioral Finance, bonds, college savings, diversification, economy, home ownership, index investing, Inflation, investing strategy, long term investing, mortgage, Retirement Investing, retirement planning, stocks, student loan debt, Warren Buffett on September 2, 2014 by Geoff Considine. In the financial advisory business, one of the most pressing and controversial topics is how much money people need to save during their working years in order to provide for long-term retirement income. The research on this topic has evolved quite a lot in recent years, and a recent issue of Money magazine features a series of articles representing the current view on this critical topic. These articles, based around interviews with a number of the current thought leaders on this topic, deserve to be widely read and discussed. The series of articles in Money kicks off with perspectives by Wade Pfau. Pfau’s introductory piece suggests a difficult future for American workers. A traditional rule-of-thumb in retirement planning is called the 4% rule. This rule states that a retiree can plan to draw annual income equal to 4% of the value of her portfolio in the first year of retirement and increase this amount each year to keep up with inflation. Someone who retires with a $1 Million portfolio could draw $40,000 in income in the first year of retirement and then increase that by 2.5%-3% per year, and have a high level of confidence that the portfolio will last thirty years. It is assumed that the portfolio is invested in 60%-70% stocks and 30%-40% bonds. The 4% rule was originally derived based on the long-term historical returns and risks for stocks and bonds. The problem that Pfau has noted, however, is that both stocks and bonds are fairly expensive today relative to their values over the period of time used to calculate the 4% rule. For bonds, this means that yields are well below their historical averages and historical yields are a good predictor of the future return from bonds. The expected return from stocks is partly determined by the average price-to-earnings (P/E) ratio, and the P/E for stocks is currently well-above the long-term historical average. High P/E tends to predict lower future returns for stocks, and vice versa. For a detailed discussion of these relationships, see this paper. In light of current prices of stocks and bonds, Pfau concludes that the 4% rule is far too optimistic and proposes that investors plan for something closer to a 3% draw rate from their portfolios in retirement. I also explored this topic in an article last year. This entry was posted in Behavioral Finance, debt, Diversification, Dividends, financial planning, financial ratios, Income Investing, Investors, Long-term investing, Low Cost Investing, Markets, mortgages, pension plans, pensions, Personalization, Retirement, retirement income, retirement planning, Stock Investing, Tools, Uncategorized, Wealth and tagged 401k, Behavioral Finance, bonds, diversification, economy, ETFs, income, investing, investing for retirement, retirement, retirement planning, retirement savings, Social Security, Target Date Folios on April 1, 2014 by Geoff Considine. Understanding your investing profile to achieve your financial goals starts with a few simple questions. The Investor Questionnaire, by Folio Investing, will help you understand your investment time horizon, investor profile and level of risk. Folio Investing offers online investing and stock trading to help you reach your investment goals with automated portfolio tools and low-commission or flat-fee pricing. 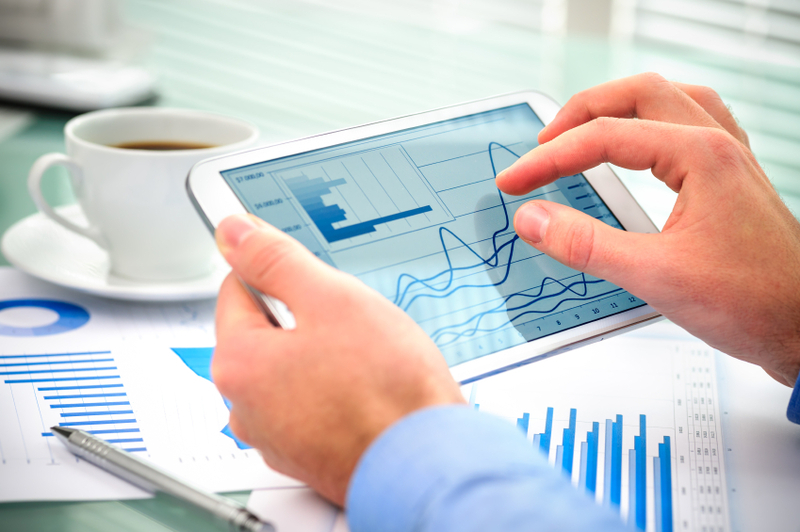 We're the online brokerage that makes smart investing simple. Investing: What the heck is a Larry Portfolio?